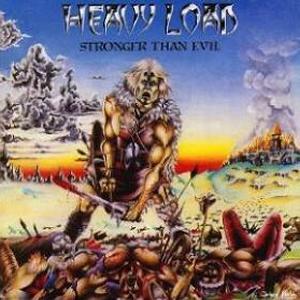 Heavy Load were arguably the first metal band to come out of Sweden, formed in 1976 and released their debut album "Full Speed At The High Level". In addition, the closing track on that album, "Son of the Northern Light", might be the first viking metal song ever, with lyrics more expected from some black or pagan metal band from the mid-1990s. However, when it comes to music, it's rather sloppy and uninteresting compared with their later releases - in particular, this one. Of course you shouldn't expect this album to be viking metal as we understand it nowadays - it's a fairly traditional heavy metal release which, however, has influenced both many viking metal bands, and traditional heavy metal bands like Manowar. Too bad they broke up shortly after releasing this album, and their two comebacks in 1985 and 1987 were unsuccessful. Most metal fans nowadays probably wouldn't be familiar with them, if Hammerfall haven't covered their song "Run with the Devil". It's a pity because they were a seminal band for the whole Scandinavian metal scene, and they certainly doesn't deserve to be forgotten. My personal favourite on this album is the closing track, "Roar of the North".